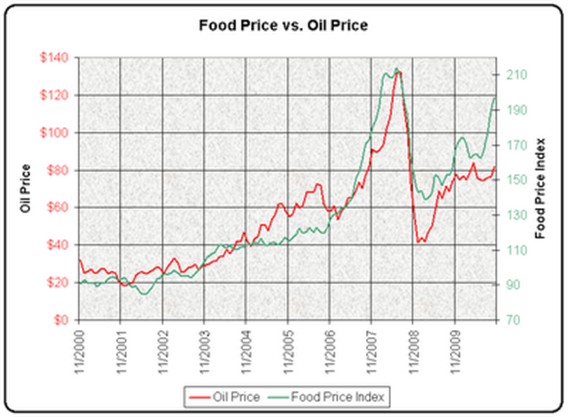 FOOD vs. FUEL, an argument started by Big Oil which never seems to cease has been sparked once again. Consumers continue to be misled by monster media outlets reporting old data from biased sources. But recent reports from experts around world have again proven that farmers and biofuels are not the cause of rising food prices, but that it has much more to do with the cost of oil. The world’s ugly dependence on oil affects nearly every product’s price with transportation and other rising energy costs. Last month the USDA reported that only 11.6% of the food dollar goes back to the farm which is down from previous years while energy and related items consume 33% of that same dollar which is up. It’s time for consumers to understand just exactly what is causing their grocery bill to grow and it’s also time for them to get behind clean, renewable domestic fuels that will play a vital role towards stabilizing the price of goods, improving our nation’s energy security and overall economy. This entry was posted in News and tagged corn, economy, farm, food, food vs fuel, oil, South Dakota.